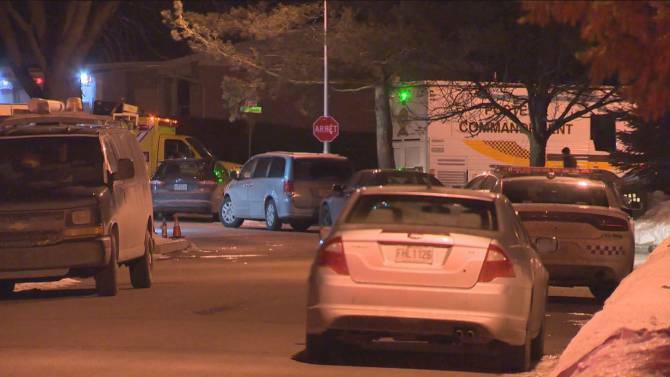 A man in Chateauguay which is a town not too far from Montreal in Quebec is now in a standoff with officers for over 24 hours. It is said that the standoff began at 9 is Wednesday and has not stopped from that time. The incident that sparked the entire standoff was a call from a Bailiff who was confronted by the resident of the home. The street where this is all taking place is on Rossini ST. The bailiff after being confronted by the resident made the decision to contact local officers and gave them information that the resident of the home may actually be armed with a weapon. The local officers responded with this information and quickly and efficiently set up a perimeter around the home and nearby area to ensure that the situation can be resolved. The SQ (Sûreté du Québec) was called around 8 pm on Wednesday and have since been on the scene. The officers did not enter the home yet and currently, have SQ officers on scene and are trying to talk the resident out of doing anything bad so that no one gets injured during this altercation. A SWAT ( a special group of officers who are trained with higher tactics of combat than a regular officer) team is also on the scene of the entire incident just in case the police force needs to enter the home for any reason. The provincial police's major crime squad is also on the scene with investigators to try and further talk the resident out of their home. The man inside the home is actually barricaded inside and does not for the time being want to come out. Surrounding homes have been evacuated for the safety of the other people that live nearby the house of the incident. Police only want a peaceful resolution to this entire issue so that no one gets hurt. There was also no reason that was said why the bailiff visited the home. On Thursday night, one resident of Rossini ST. said that she heard a "loud bang". The morning after the "loud bang" it was confirmed that the man that was barricaded inside the house has sadly committed suicide. The man was 61 years old.